H1Z1: King of the Kill is a fast paced, fight-to-the-death shooter, where players compete in large-scale, chaotic PvP spectacles of skill and wit. Players fight against each other in solo or team-based matches, in rule-based skirmishes, or in global events and tournaments. Whether players possess skill, luck, or a little bit of both, only one can prevail to stand alone at the top of the podium. The Australian and New Zealand H1Z1 scene comprises of multiple high skill teams who have formed to compete against one another in a struggle to prove who is the best of the best within their region and potentially, the world. So basically, to give a small summary of what this guide will include will be team rosters, who is the team captain for the team, players to watch, general information about the team and social media links for organisations and players. They will be listed in no particular order just how I thought of them when writing this guide. I will only be listing teams below in which have either proven that they are going to be in the scene for the long haul or teams that have formed recently and in my opinion, will be around for a long time (being signed to an organisation, top tier players who show promise etc). I will be listing full rosters, but only speaking about core members in the general information section of each teams biography. 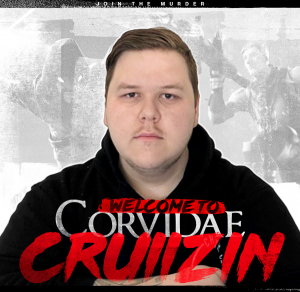 Corvidae were the first Australian eSports organisation to invest in a H1Z1 team, setting the standard for many other organisations who have now taken the leap into the competitive H1Z1 scene. 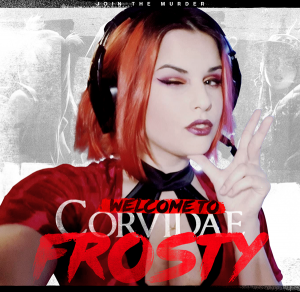 Before the commencement of competitive play, Corvidae were hyped to be the number 1 ranked team, as within their roster plays Colje, the best player in our region. 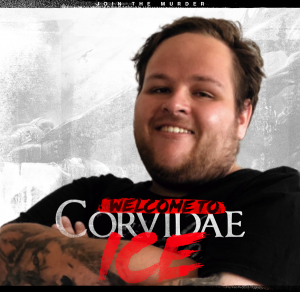 His skill level within the game is near unmatched, but this is not the only reason in why Corvidae are a danger to any other team they face, Bullnizzle and Mindosa are also 2 top tier players with Mindosa being one of the sharpest shots in Australia and Bullnizzle being one of the most consistent aimers, this forms a very strong 3 star player squad with Demize and Philskee being great supportive players, rounding out a very strong team. 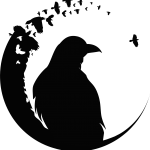 Corvidae’s recent win drought has begged the question, can this team be rank 1? and has made them somewhat a dark horse of the region, time will tell I suppose. Representing one of Australia’s premier eSports organisations is the ‘Tainted Minds’ h1z1 roster who are the current rank 1 team in our region. 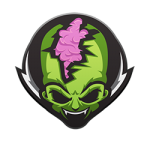 Tainted Minds strength is their team work and ability to work incredibly well as a cohesive unit. The teams ability to commit to Prevoqe’s calls without hesitation gives them a massive advantage over any other team in this regard and bolsters the backbone of this team. With recent roster changes adding Moot a veteran player of the game stretching way back into z1 days, brings in depth game knowledge and consistency to the team and ch4rle who is a high skilled intelligent player who has recently climbed to top 30 on the North American solo’s leader board which is arguably the most competitive in the world, these two players are no slouch and an incredible addition to the team. Right behind them are Lorel and Joshiie, they are fantastic soldiers for the team and always pick up the slack and cover their teammates weaknesses. This team will continue to show prominence within the region and are built with the foundations of success. From starting up as a team in Call of Duty 4 in 2012, Trident eSports has progressed far as an organisation, with their recent pickup of the previously known as “chance” h1z1 team, they have extended their reach in the eSports world. Trident are a team where all of their players show fantastic levels of individual skill. I would go as far to say that in terms of just raw skill this team is at the highest level, fuelling their ability to take calculated aggressive strategies that other teams aren’t capable of. Synq is one of the best in game leaders the region has to offer, he is both decisive and intelligent which allows the team to focus on their aim and other crucial aspects of the game. Trident were not an instant success with many players leaving the team before this final beast has been unleashed. Sycaz has some of the best aim in Australia and rivals that of Colje and other top players, Suspect and Jayz are not far behind Sycaz in this respect. Nitros would be the teams best all-round player, having the ability to aim very consistently and make smart split-second decisions when needed to assist the team. Trident have solidified their status as a top 3 team in the region and I don’t see anybody knocking them off their pedestal anytime soon. 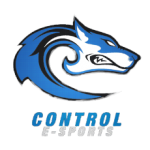 Control eSports are one of the very best teams in Australia. Despite having roster struggles almost every week of competitive play until quite recently, they sit at 2nd on the ladder. Which is an astonishing achievement as they struggled to field 5 players each week, sometimes playing with as low as THREE players. The squads playstyle is very by the book of how you are meant to play competitive H1Z1. They acquire all of the required resources to win a match and then find an advantageous spot to sit and hold. Never taking meaningless fights at any point, and always taking the smartest position for any given situation, thus allowing them to win games even when at heavy disadvantages. Control runs a 2-man style calling system with intellects delusion and Hazy bouncing idea’s off of each other creating a situation where it would be hard for the team to make an incorrect movement or decision. The teams best player in terms of individual skill would have to be nnodnarb, he is a fantastic aimer and you would struggle to find him out of position or battle him in a fight where he was at a disadvantage, not far behind him in the same regard is Phlux. Phlux is quite intelligent and is always feeding information to the team with great communication, his aim is also among the best in the scene. When he’s in the vicinity, players cannot peek him for extended periods of time or they risk meeting their demise at the hands of Phlux. JCG brings an unpredictable nature to the team, catching enemies off guard consistently. He is a very consistent shooter and when given a task to complete within the game he will almost certainly complete it, making him a strong asset. Vamp is the teams soldier, he will always hit his shots and always listen to the teams calls and complete any task in which he is assigned, rounding out one of the prime teams in the region. Control are a head and shoulder in front of the 3rd placed team only being bested by Tainted Minds, and don’t look like slowing down the pace anytime soon, if things continue on the same path, they may seize the throne for themselves. 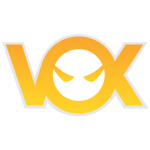 Vox Eminor have recently emerged into the competitive H1Z1 scene with the acquisition of it’s latest roaster. When talking about this line-up the main focal point would have to be Jordyx3, he has been the rank 1 player on the AU leaderboards in both Pre-season 3 and pre-season 4, what gives him the edge over any other player and makes him unique would be his expert grenade usage, using each almost perfectly in any given situation, which will provide huge benefits for this roster. Lockdown is a player who is relatively new to the game but his skill level has rapidly increased since his induction to h1z1. Lockdown has a personality that strongly attributes that of a leader and will help push this team in the direction of success. Sixo is a monster of a player, when he is on, he is ON, his aim and positioning within the game are definitely a major strength of his and he utilises these strengths to their fullest capability and more often than not, will come out on top of his competition. Boomer brings a wealth of knowledge in competitive fps games within Australia, having participated in many leagues and many LAN tournaments which will help inspire his team mates confidence during high pressure gameplay. Not much is known about AviatorFenix and his potential as a player, but he certainly has the right tools around him to establish himself as a top tier talent within the Oceanic region. Overall this team I believe will solidify themselves as a top 3 team as a minimum, the only thing in the way of this is themselves. The Messiah Gaming team had a slow start to their career as a competitive H1Z1 team, barely scratching the surface of top 3 finishes in each week of competitive play. Posing the question of if this team can even place top 5 in the currently ongoing tournament? They answered this question surprisingly with multiple top 3 finishes in recent weeks. Although currently sitting in 7th place, Messiah Gaming are on an upward trajectory that looks very promising, this team has an exciting future ahead. The recent incorporation of Kure_qc, a top ranked player on the Australian solo game mode’s leader board seems like a step in the right direction for the team, definitely adding more firepower to the squad. The best all round player on this team would be Joocy, he is the most consistent player on the team. Joocy’s peak may not be the highest of all his comrades, but his overall strength is the aforementioned consistency, he has great positioning and makes smart decisions within the game. Rogue’s core strength is her effective and efficient communication, she is always helping her team mates with loot and making great suggestions in terms of positioning and other in game aspects, assisting the in game leader and the rest of her team mates, making her an essential part of the team. Speaking of in game leaders, we arrive at Vertikk. Vertikk has the highest peak on the team, he has the potential to be one of the best players in the region. The only thing in the way of this accomplishment would be his inconsistency skill level wise, he is quite an intelligent player and makes greatly informed calls for the team putting them in most cases, an advantageous position in any given scenario. When it comes to unpredictability, Pacy is your man, his decision making in game is thought to be irrational at times, but as only a player like Pacy can, he makes it work somehow, at times bewildering his opponents, but that plays into the mental game and becomes an advantage for his team. If recent results are anything to attest to then top 5 in the region is an achievable feat for Messiah Gaming, we’ll see what the future holds. The name of this team sums them up in a nutshell. 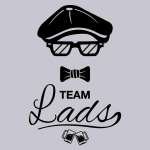 Five good friends got together and made a competitive H1Z1 team for a bit of fun competition, at least that was the intention. However, this team despite the original intentions to just have a bit of fun, have done quite well in the current competitive circuit with multiple top 3 finishes under their belt. Presently sitting at 5th place within our region, Fives with the lads is not a team to be underestimated, if you do, you’ll find yourself regretting it. The squads best player and shot caller is vLusty. vLusty is a sharpshooter best utilised in medium to long range confrontations, with strong knowledge of game mechanics he is a great benefit to his team, he also makes great calls for the team, putting them in superior positions which allows them to compete for the top spot. Crossfire is a new addition to the team and is somewhat of an unknown entity, however a quick look at the AU Solo’s leader board provides some context for this player. Crossfire currently holds the 12th place on the leader board, this is no small feat, if this player lives up to that potential, he will be a rewarding pick-up. DillyJ is a vocal player who has effective communication and is one of the more consistent players in the line-up, allowing him to be a reliable tool for the team to use. YaBoy on the other hand is a little quieter and is a supportive player who does his job within the team but does it well. YaMumNZ is another supportive player for the team who is a great 5th man, keeping everyone level headed as he himself remains calm in any given situation. YaMumNZ always takes it seriously in intense battles with an enemy squad but always lightens the mood when things get a little tense. Fives with the lads are seeking to join the top echelon of the competitive scene, always willing to take any opportunity to better themselves. The next steps of this teams journey will be an exciting view to behold. From it’s inception, I don’t think anybody had super high expectations for Evolution, as on paper this squad is not star studded by any means, however, this team has absolutely exploded onto the scene surprising many with their great teamplay and strength as a 5 man unit. Evolution’s core strength is their positioning, they always seem to be able to inhabit an advantageous position which is no small feat in a game where depending on RNG a little bit, could render a very good position useless in a matter of seconds. Evolution is the embodiment of the famous saying “The whole is better than the sum of it’s parts”. The minds behind the squad’s success are Veravoota and Joshvb, these two players are the shotcallers for the team and from the outside looking in, seem to be doing a remarkable job at it, they always seem to strive under pressure, coming in clutch where it matters most, making for a system of a very successful team in all forthcoming competitions. Ultrabait, Pearls and Veravoota are the main killers for the unit, consistently hitting their shots and laying down suppressive fire, allowing any mistake made by an enemy to be immediately punished. ImCozza and Joshvb would be the more supportive players for the team doing what is necessary to succeed and then some, finalizing a strong cohesive unit that can compete with the best teams in the region. It’s inevitable with this line-up that more victories can be accomplished, as time crawls on the team can only improve and show us what they are really made of. One of the more recent teams to be acquired by an organisation, Masterminds as an entity are quite a competitive team boasting an achievement of 6th in the region currently. 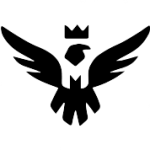 Masterminds prefers a tactical, slow and methodical approach to the game, always seeking the play that has the highest percentage chance of securing a victory. The mathematicians (or shotcallers if you want to call them that) of these high percentage plays are Wisqe and Hound, these 2 players specifically have played in a team together since the birth of the Australian competitive scene, making them a fantastic leading duo for the team. Tempo is the more supportive player for the team and also the team captain, an admirable quote I read from Tempo’s steam profile went along the lines of ‘Together we stand, United we fight’ which if he reflects this in his leadership is certainly worthy of admiration. Azey is a great player, being very dependable in any given situation being able to boast a high accuracy percentage making him an extravagant resource for the team. In recent times, Claxy has shown himself to be a reliable team member, assisting the team in getting out of tight situations by hitting clutch shots completely catching off an opponent who is over reaching, don’t let your guard down around this guy, he’ll put you down. 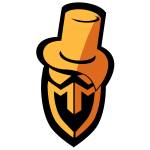 Overall Masterminds is a strong team that hasn’t quite hit their ceiling, they will always be in the top 6 teams in the region with room only for improvement from this point on, let’s see where this squad takes us. And there you have it, we went on journey together. Hopefully after reading this, you’ll have a better understanding of the teams and players within Australia and New Zealand. Please go ahead and check all of the social media links of the aforementioned organisations and players and if you enjoyed the read, please feel free to pass it on to anybody interested in the H1Z1 Oceanic competitive scene. About the author: Josh ‘Demize’ Flynn is a H1Z1 player for Corvidae, one of the admins for the AU scrims and spends parts of his spare time trying to further the H1Z1 scene in the Oceanic region. He also plays Rocket League, League of Legends, Overwatch and CSGO.